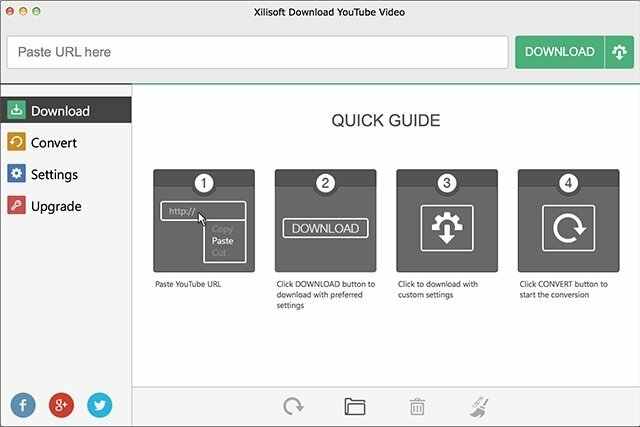 Xilisoft Download YouTube Video is one of the easiest-to-use download programs that you can currently find on the market, as it allows you to download videos with a single click. You don't need to configure anything, so it's really fast: the video will only take what your Internet connection speed requires. It comes along with a simple interface that shows all the controls in a simple and intuitive manner. 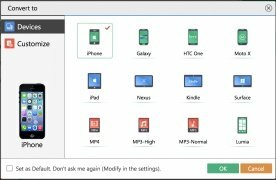 We can configure how we want a specific video to be downloaded by pressing the gear button that appears next to the Download button, which can also be configured. From the Settings tab, we can choose the configuration for the downloaded videos, although you can always leave the default settings if you're not too sure. Step 1: If you copy a YouTube URL the latter will be immediately pasted in the application's download box. 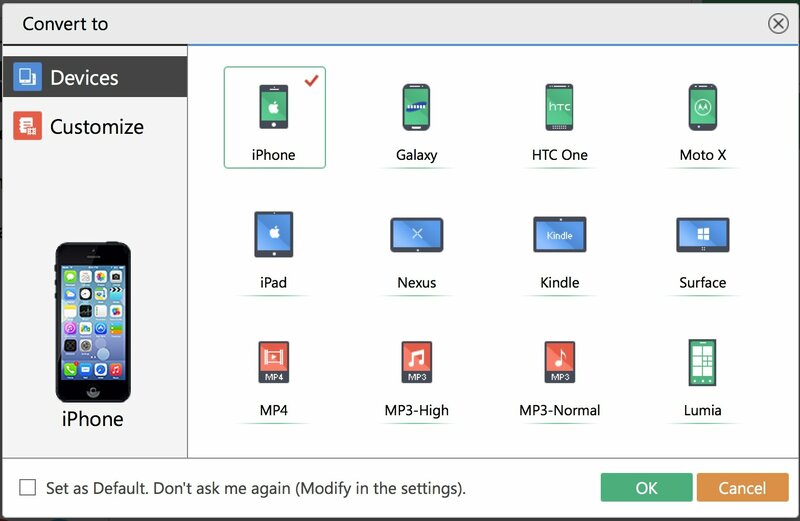 Step 2: You'll have to choose between a quick download or a specific configuration. Step 3: Once the video has been downloaded, you can convert it to another format. In just two steps, you'll have your video download, the third step is totally optional. 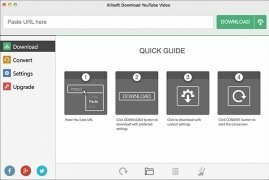 Converting videos is yet another possibility offered by Xilisoft Download YouTube Video to make them compatible with other devices on which we wish to play them. With this software for Mac, we can decide whether we want to transfer our downloaded videos straight to iTunes, saving time by adding them manually. In just one click, we can download a video and place it in our library.